CHICOS was born to create something different for the next generation and is new line of cigars, that meets the needs fashion, status, recognition and prestige of a unique and fun way. 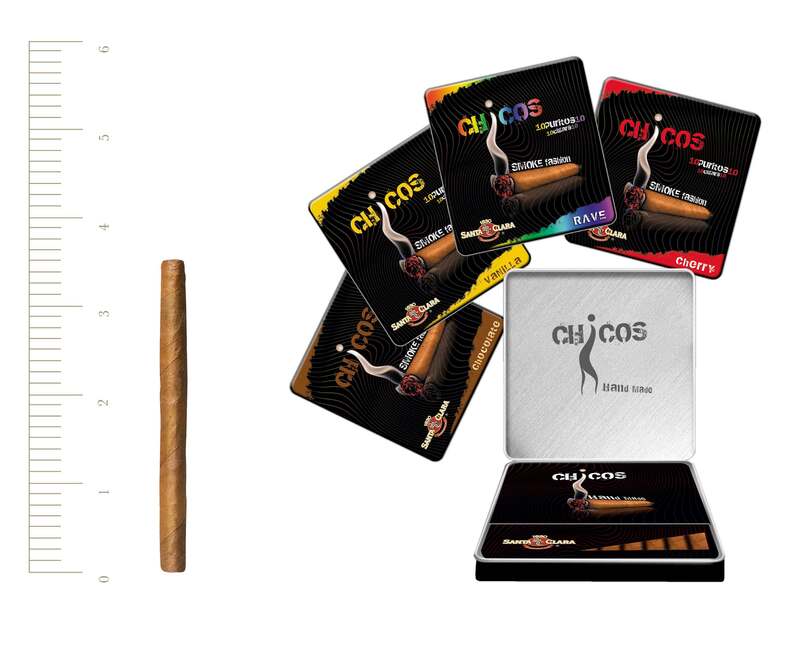 CHICOS line is designed especially for consumer with personallyand hasa range of 4 delicious flavors that will make the experience completely enjoyable smoking. Being Chicos an innovative product, design a packaging that described easily in three words: avant-garde, attractive and current. Flavor: Available in vanilla, cherry, chocolate and natural.